PS Audio recently introduced a new product category called a Phono Converter. The Phono Converter, or NPC, features two separate and parallel signal path formats in one chassis with a single user interface. The PS NPC combines a full featured analog RIAA phono preamplifier together with a high resolution analog to digital converter. According to PS Audio, the unit is capable of simultaneously producing both a balanced analog audio output as well as a digital PCM or DSD output in multiple formats. • Explore reviews in our Digital to Analog Converter Review section. The heart of the NPC's design philosophy is running parallel and separate analog and digital paths, supposedly allowing each to be optimized for best performance and faithful to the original recording and mastering process. Vinyl mastering is handled through filters and reverse RIAA EQ kept strictly in the analog domain from the input to the output of the cutting lathe. To help faithfully reproduce this non-digital path an analog playback chain is the preferred reproduction method - which is why the NPC is 100% analog through its phono chain. Once the playback and EQ requirements of the vinyl path have been properly amplified, it is then put through a process to quantize the output through a analog to digital converter (A/D Converter). The NPC can be used as a standalone A/D converter through its auxiliary analog input, a digital output phono preamplifier feeding a DAC or computer, or as a purely analog phono preamplifier. Simultaneous analog and digital outputs are available on the NPC. Connections to a preamplifier, DAC, or computer are simple and direct. Using appropriate software on a PC, NPC owners can rip their entire vinyl collections to their computers at 192/24 PCM or up to double DSD rate. Reclocked 192/24 as well as 64X and 128X DSD can be sent over S/PDIF through either the USB or coaxial output and direct DSD and PCM streams are available through the I2S output. Use of the DoP protocols are standard on the NPC. The phono preamplifier's input differential analog gain stage is a low-noise THAT 1583 featuring 60dB of programmable gain and noise specified at 1.9nV/√Hz, with bandwidth to 1.7mHz. This stage forms the interface gain device between the phono cartridge and the NPC and its output feeds a passive RIAA EQ stage. Following the EQ stage is a new class A all FET discrete gain block featuring a combination of JFET and MOSFET devices in a low open loop design. The A/D converter is the Burr Brown PCM4222. This A/D converter reportedly features dynamic range, low noise and distortion characteristics that exceed 120dB in both linear PCM or DSD formats. For PCM the NPC gives a full 24 bit 192kHz output while the DSD option handles 64X or double DSD at 128X oversampled rates. The output of the PCM4222 is passed through a PS Audio Digital Lens reclocking solution removing added jitter from the datastream. Both PCM and DSD can be sent over S/PDIF, I2S, or USB using the DoP (DSD Over PCM) protocols. S/PDIF and I2S are used to feed a DAC while USB is used to feed a computer. Users can record either DSD or PCM through either Mac or Windows machines using an off-the-shelf program such as Audacity. Because DSD is sent using DoP, Audacity or other recording programs handle the files as if they were standard digital audio WAV files. DoP does not alter the DSD data; instead it cuts it up into acceptable packets that look like PCM but are not. Recorded files play directly on your computer using a program like Foobar for Windows OS and Pure Music for the Mac operating system. Users can also stream these files directly to a DAC via USB from the computer or Ethernet with an appropriate server. 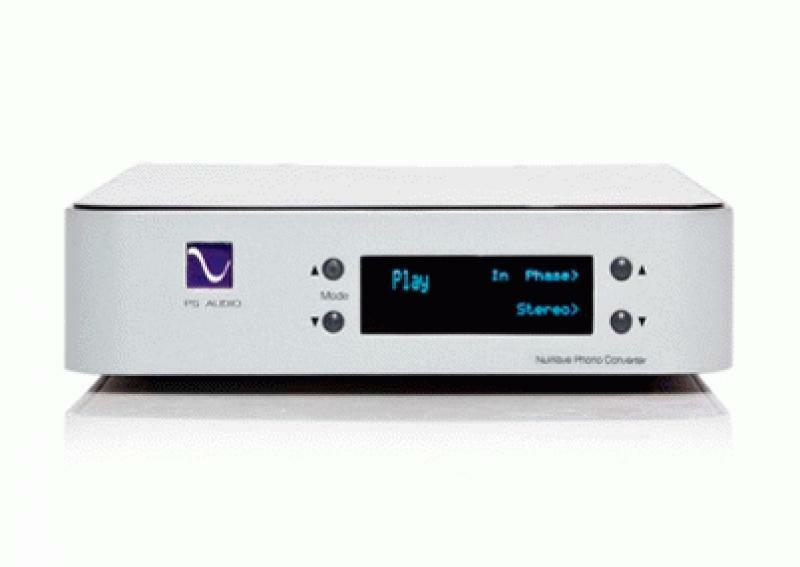 The NuWave Phono Converter is now available for $1,895.